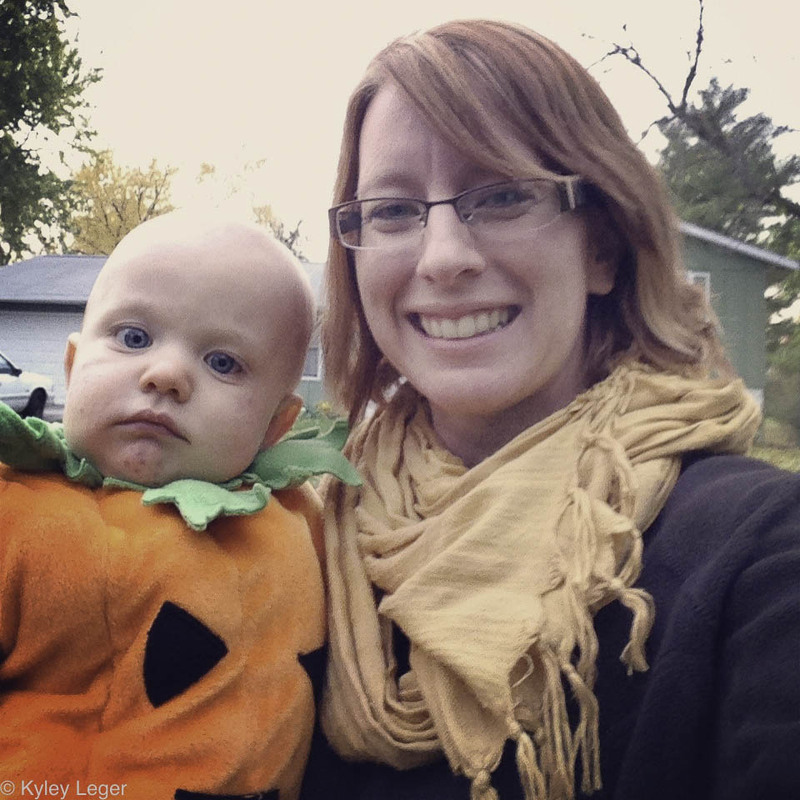 My blogging dedication is questionable at best lately, but I wouldn’t be even a part-time blogger if I didn’t post the obligatory Halloween post. I don’t get caught up in all the children holiday things. I’m not one for spending a lot of money on hyped up things. Maximus had a little spiderman costume when he was three months old. It was for show. And the last time I did that. 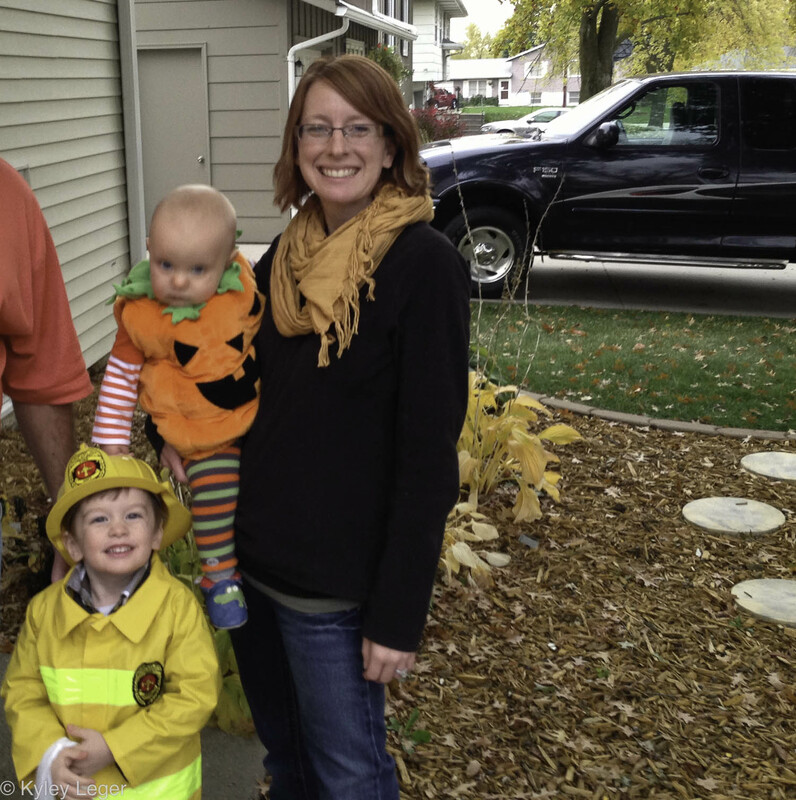 Last year we went to my parents house and tried to hand out candy. Maximus was TERRIFIED of anyone wearing a mask. This year I knew better than to buy Maximus something that would be anything but simple. A fireman. I figured the chances were good that he’d wear it at some other point so it would be money worth spent. Only because I thought Maximus would actually go trick-or-treating did I buy Quinten a costume. A pumpkin. Like I said, I don’t get into this stuff much. We had two stops to make before it got too dark, so we didn’t even try our neighborhood. 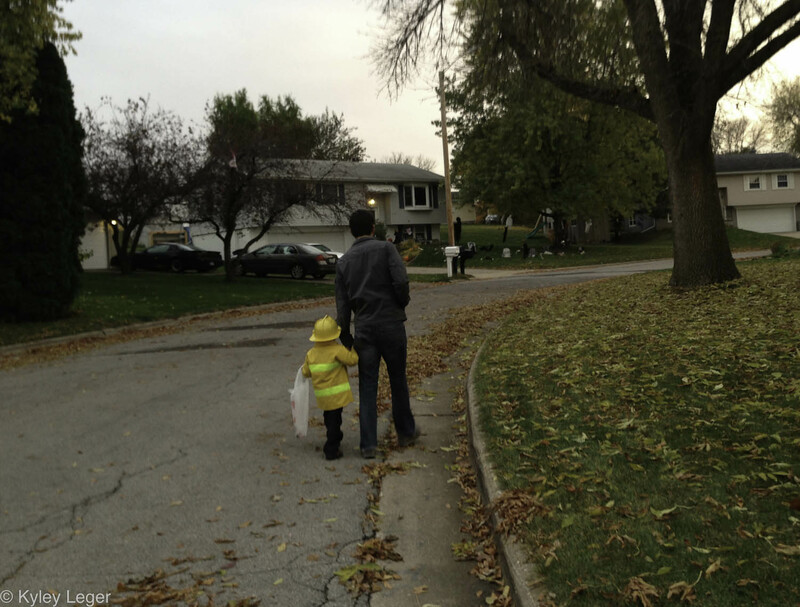 We’ve only had a couple trick-or-treaters in the past six years so we figure there isn’t much to miss by leaving. We headed to my in-laws first. We tried to explain the concept on the short drive over. Maximus was beyond confused, but happy to see grandma and grandpa outside when we pulled up. He darted out of the car in a straight line towards them, then did a fast u-turn and started whimpering. Two kids his size were wearing masks. He was terrified, again. So much for easing our way in to it. Coincidently, I also only made it one house. I’m not used to carrying Quinten, I always have him IN a carrier so I never notice the weight. Boy, 25 pounds of solid baby is a lot to carry. We turned back and played with the cat. Looking back, Quinten may have too many stripes on. 🙂 He only wore his pumpkin costume for a little bit so he had on a pumpkin shirt underneath. 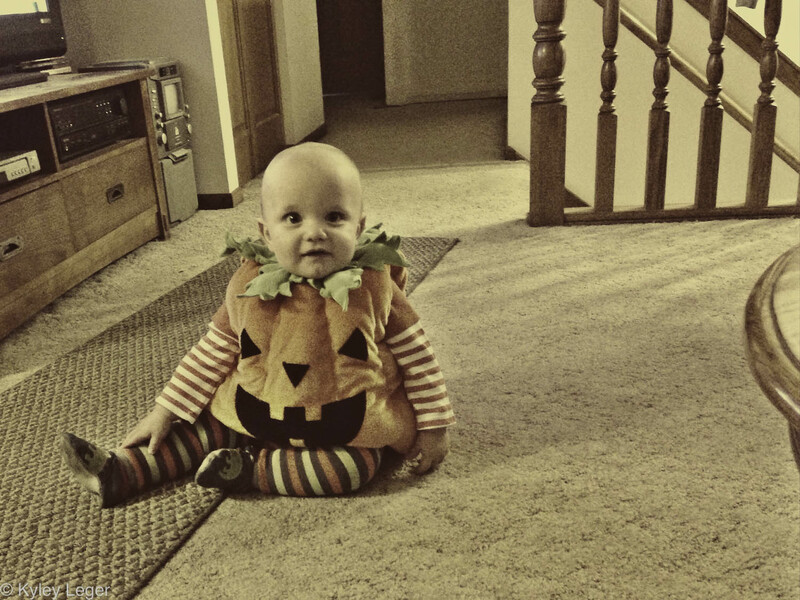 Of course I actually forgot it was Halloween when I woke up on Thursday so he didn’t wear it to daycare. (Mama went to a concert so it was a late night!) We’re having a bit of a pant issue with this baby so I pulled out some fall leggings. I know he’ll hate this picture when he’s older, but I’m going to love it for now. Maximus only made it one house in my parent’s neighborhood. The night wasn’t a bust, my mom always has food ready so I was happy! I know one of these years Maximus will get candy-crazed and really love Halloween. I’m ok with us taking the slow approach, we’ve had enough issues managing the candy cries with just the little amount he did get. 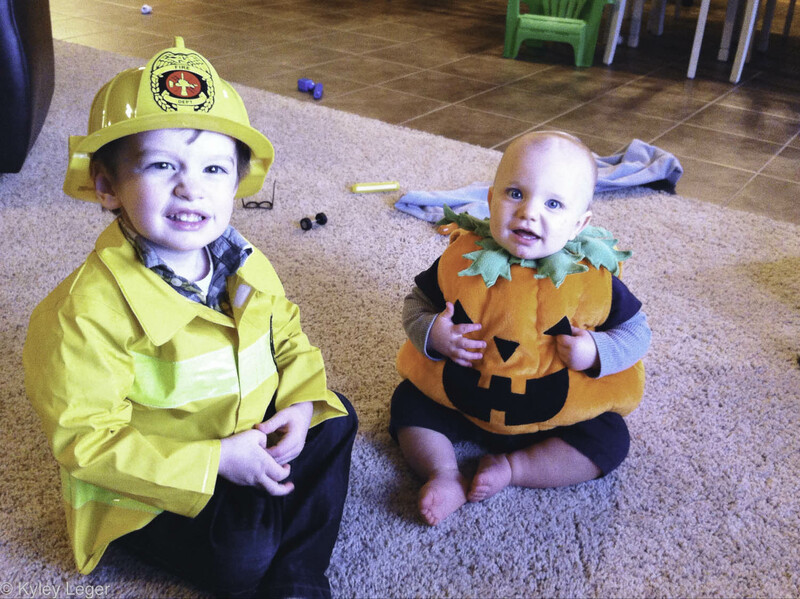 This entry was posted in Baby, Maximus, Quinten, Toddler and tagged Baby costume, Halloween with a three-year-old by Kyley Leger. Bookmark the permalink.